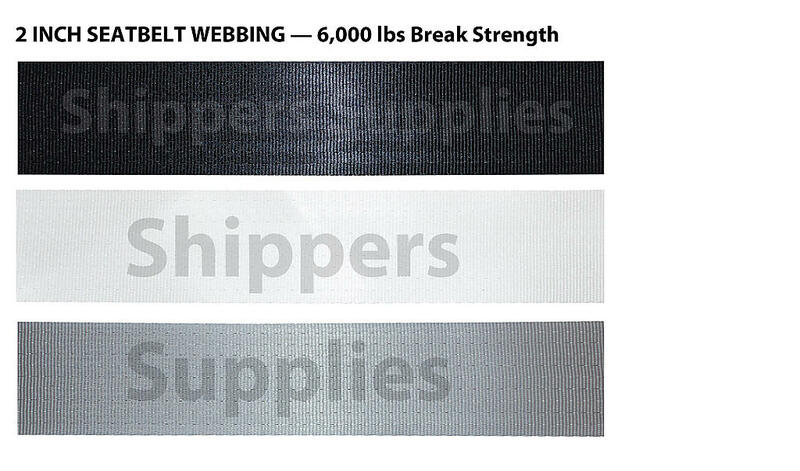 The Seatbelt Webbing comes in 6,000 lbs break strength. The weave is lighter in weight than regular polyester. This webbing is 2” wide and works with most of our 2” hardware. We have a few different colors available.